Long ago, people looked up at the sky and were amazed to see the tiny white dots that occupy the whole sky. They thought it was their ancestors or some play of their Gods. But, they did not stop with that. They categorized the night sky into twelve zones and assigned a sign to them. These evolved to become Zodiac signs we use today. 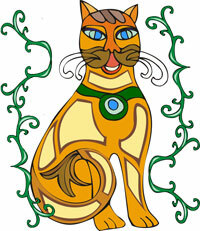 Zodiac signs are used almost by everyone every single day around the world. People wake up to hear astrologers foretelling daily predictions based on the Zodiac signs. Your daily predictions based on your Zodiac sign is published in newspaper, broadcasted on TV Channels and read aloud on the Radio channels. Most of the civilizations assigned the names of Gods to those zodiac signs. But certain civilizations assigned the names of animals to these signs. Of them, noteworthy is the Chinese Zodiac system. Also, there is Japanese zodiac system, Burmese or Mahabote zodiac system, Celtic Zodiac, Native American zodiac and Mayan Zodiac which had one thing in common – they all assigned animal names to Zodiac signs. Let’s read about a few of them in this article. 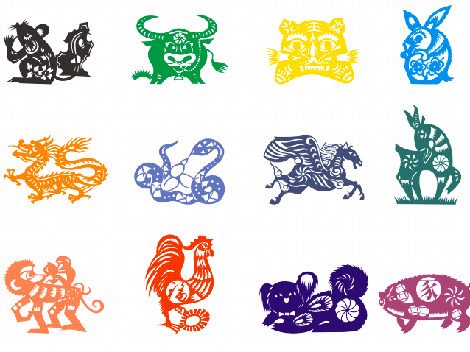 Chinese Zodiac: Chinese named animals to the zodiac signs and they differ from the Western zodiac by assigning animals to year, month, day and even hours. Yes, you can be born in the Chinese Rat year, Dragon month, Ox day and Pig hour. The twelve animals that the Chinese have adopted, in the order they appear, are Rat, Ox, Tiger, Rabbit, Dragon , Snake, Horse, Goat, Monkey, Rooster, Dog and Pig. There are various stories on how they came in that order. Also the Chinese nominate an element for each year and month. While assigning these animals on two hour-basis, they have made sure that animal is most active during that phase. For example, midnight is assigned to Rat, as rats are most active searching for food in the peak of the night. While predicting your life, the Year animal represents your ancestors, Month animals represents your immediate family, Day animal shows your adult life and Hour animal about your children or later life. Japanese Zodiac: The Japanese merely adopted the Chinese zodiac. The only difference between Chinese and Japanese zodiac is that Goat is replaced by Sheep and Pig is replaced by Boar. Burmese Zodiac Signs: Ancient monks of Myanmar derived their own Zodiac signs based on their observation of night sky and related it to animals that they thought would be a match to the signs. 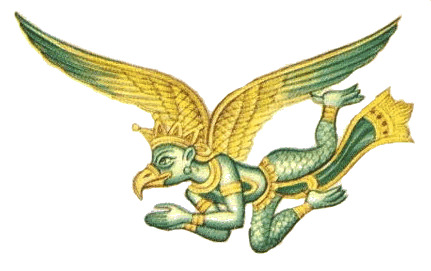 Since Myanmar astrology is based on number eight, they created eight Zodiac signs and assigned the following animals to it – Garuda, Tiger, Lion, Rat, Guinea Pig, Dragon, Elephant with tusks and Elephant without tusks. Burmese zodiac needs the day of the week you were born, because they had associated the eight signs to eight days in a week. Eight days in a week? Yes, they had divided Wednesday into two days and totaled a week to eight days to be in accordance to the eight Zodiac signs.